Girl Scouts of Greater Chicago and Northwest Indiana can come to you! SU Manager and Troop Leaders! Interested in having shop merchandise brought to your Service Unit meeting, program and more? Fill out the MOBILE SHOP REQUEST FORM and we will contact you to confirm the details! 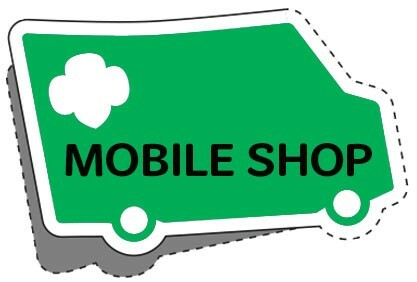 THE MOBILE SHOP WILL NOT BE AVAILABLE FEB. 10 – MARCH 31. For customized service, have parents place orders online for delivery to your event! Please note that the Mobile Shop is available based on schedule and staff availability. We will do our best to accomodate all requests.